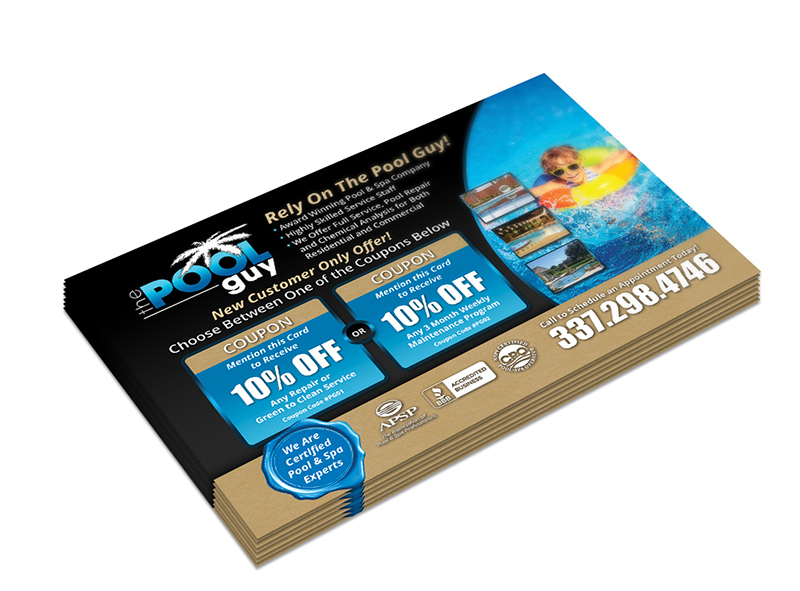 Take your online presence to the next level with our Postcard Remarketing Services. What happens when a prospect receives an intriguing offer on a postcard, goes online to read more about the deal, gets distracted and never goes back to the business’ site? It used to be they were gone forever, but not anymore. Harnesses the power of Postcard Remarketing Service information to get in touch with your preferred audience. Pool Marketing Site harnesses the power of this information to get in touch with your preferred audience. Our tailored Postcard Remarketing Services deliver irresistible content to your customers which will entice them to click, read, and ultimately, take action. Because it begins online, Pool Marketing Site can match a web visit to a specific email and physical address. Whether you’re looking to drive sales activity, increase leads, or promote awareness of your brand, Postcard Remarketing Services can be a strategic component of your advertising. Through tools like Facebook’s Custom Audience and Google’s AdWords Customer Match we extend the reach of our clients while boosting where they land on search results pages. A business adds the Google Remarketing Code to their website. Get Access to People When They’re Likely to Buy. You can reach people who’ve interacted with your business when they’re searching and visiting other websites. Large-Scale Reach. You can reach people on your remarketing lists across their devices as they browse over 2 million websites and mobile apps. Efficient Pricing. You can create high-performance remarketing campaigns with automated bidding. Creative Advertising Options. Combine a dynamic remarketing campaign with ad gallery layouts to scale beautiful ads across all of your products or services. Campaign Statistics. You’ll have reports of how your campaigns are performing, where your ads are showing, and what price you’re paying. Help Customers Find You. Show ads to previous visitors who are actively looking for your business on Google Search.